UAE system, society and tradition are known of taking such great care of their youngest citizens. After Dubai became rich it started developing and improving the entire niche concerning children. Schools became better, kindergartens are magical, and amusement parks are like your imaginary world came alive. Following all that – children’s medical care and health issues could finally be upgraded to much higher level. People from all over the world are bringing their children to Dubai because some of the best pediatricians are located there, as well as cardio surgeons and cancer specialists for young age. A public survey says that one of the most respected and best technologically equipped hospitals for children is the one in Dubai called Al Jalila Children’s Specialty hospital. All of the parents whose kids have gone through this facility said that they had nothing but the best possible experience with the staff, doctors and accommodation, no matter how hard it was to get through their child’s treatment. This hospital offers services of Heart, Kidney, Critical Care, Neurology and Mental Health specialists for children. The Child and Adolescent Mental Health department is the first one of the kind in UAE and they had a great influence so far. They offer different modern and some classical approaches. It is amazing how kids hardly notice that they are in hospital while spending time there because it is totally adapted for them to feel like home; they have large spaces for them to play and hang out with each other and there are regular visits of entertainers of all kinds. This summer the hospital invited all the people of good will to show their compassion and become volunteers in this hospital. They will have a chance to become heroes for those who are most vulnerable and who really need some heroes to make their days better. 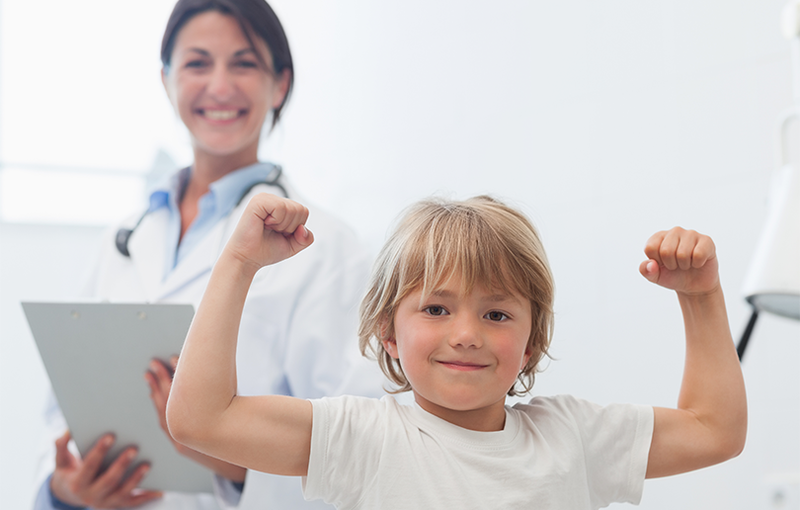 Canadian Specialist Hospital is also one of the places where your child can get excellent care from their many pediatricians. Management of this hospital emphasizes the importance of knowing and monitoring a child as his doctor since the moment the baby is brought to the world. They offer fantastic care for pregnant woman, and have all the newest technology needed to take care of prematurely born babies. They say it is one of the best places in UAE to give birth at. Unlike some other hospitals, they allow husbands to be present during the delivery and film or take photos. So now you know where to go if your baby wants to get out early and interrupts you in the middle of admiring Burj Khalifa. Medcare Woman and Children Hospital is ran and designed almost entirely by woman. They are specialized in Gynecology, Neonatal and Pediatric care. The thing that differs this hospital from others is its interior. Designers made sure that every corner is comfortable, elegant, and designed to make you feel like you are at home; but better home with some of the best doctors there are, pleasant nurses and your child taken care of by excellent pediatricians.